As always Quinny has quite a few items that will be released in the new year. 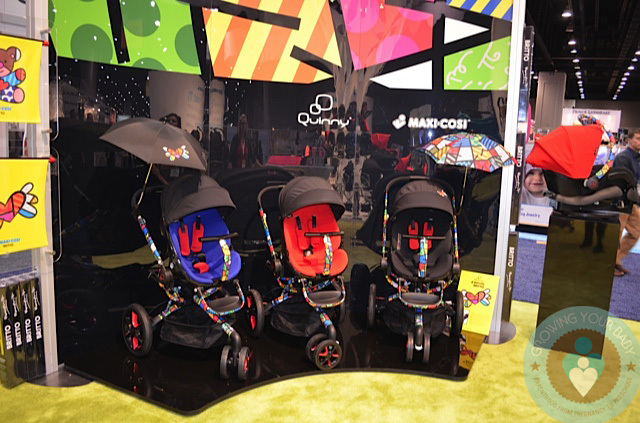 In August they debuted their newest collaboration with iconic pop artist Romero Britto. On display at ABC Kids in Louisville, it is more beautiful up close than in pictures. Quinny uses a special process to add the designs to the frame, which leaves it with a smooth lacquered finish. 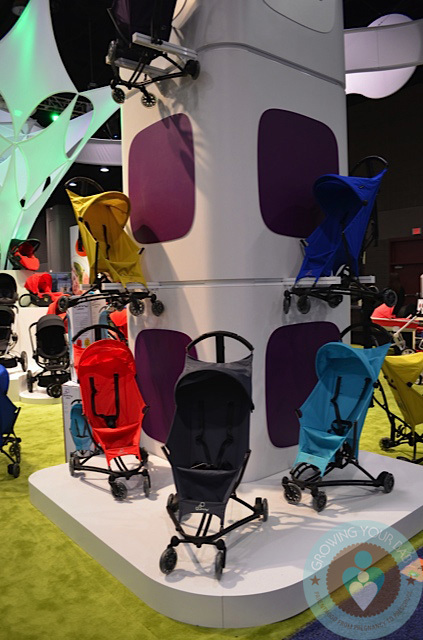 Each stroller is a piece of art. 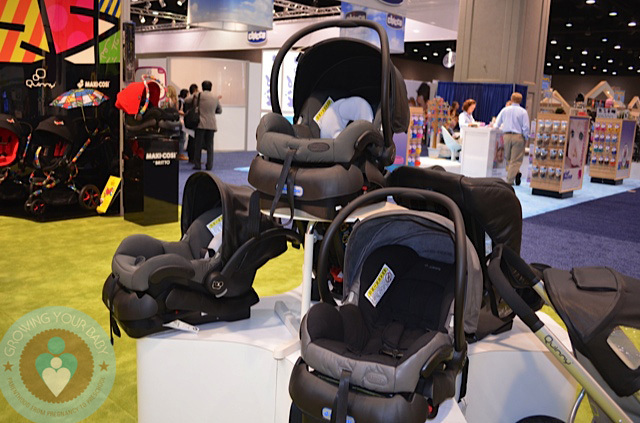 This year Quinny is introducing a limited edition collection that is leather trimmed. 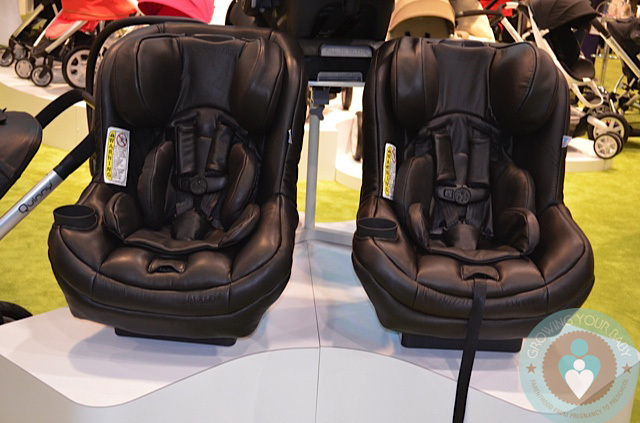 Offered in Black and a Greyish Brown, this special line will on the Maxi Cosi Mico, Pria 70(just black) and Quinny Buzz stroller. And while it wasn’t designed to ‘officially’ accompany bugaboo’s new Viktor&Rolf Cameleon 3, the Mico in the greyish brown does match it perfectly. 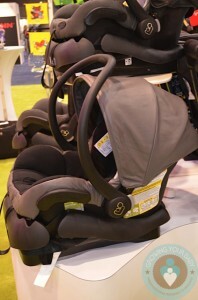 Introduced last Fall over seas, Quinny will soon be offering the Yezz($279) in North America. 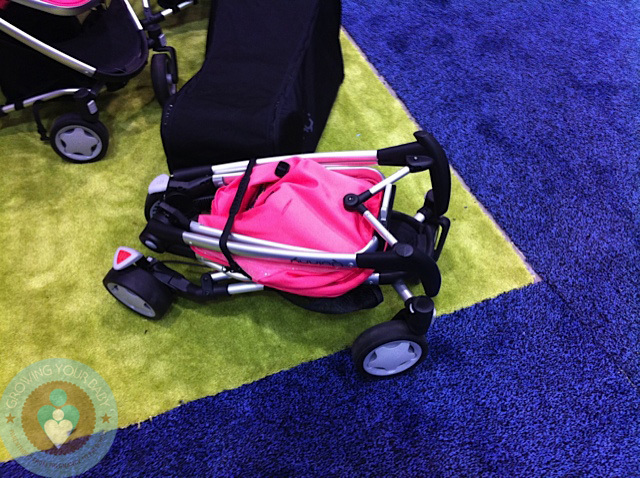 Weighing just 11 lbs this ultra compact stroller will accommodate a child 6 months to 40lbs. 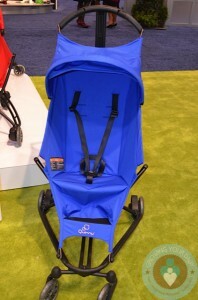 The frame is made of IXEF® material, a high performance injection molded composite fiber — allows for the stroller to be light weight and extremely durable. Something parents might like is that they will have the ability to interchange the seats fabric($69). 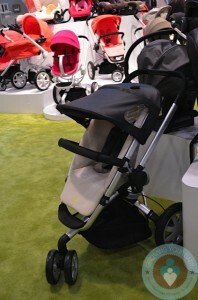 Designed to be a simple get around buggy the Yezz does not recline nor does it have a storage basket. It also has wheels that resemble those on a skateboard, which gives it incredible manoeuverability. To be available March 2013 in the following fashions: Blue Loop, Yellow Move, Blue Track, Grey Road, Red Signal and Purple Rush. 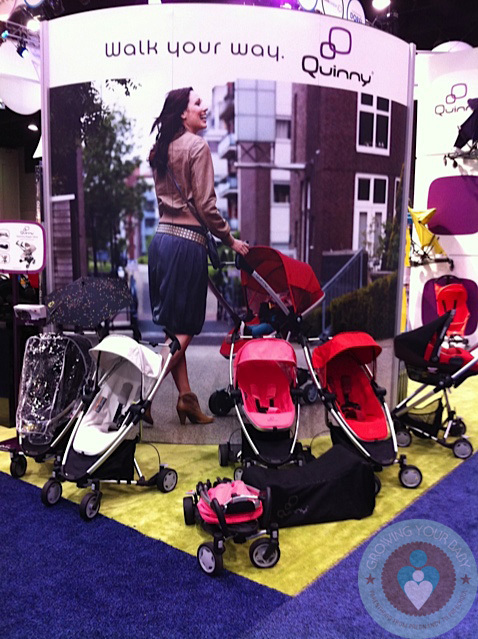 It is no secret that we love the Quinny Zapp Xtra. Introduced two years ago, the compact travel stroller made it the top of our list of favorites very quickly. 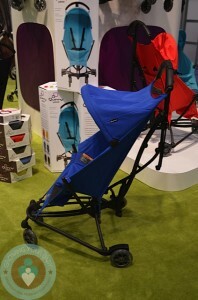 New for 2013 Quinny has made it so the stroller will fold with the seat on! In the past parents needed to remove the seat and transport the frame and seat separately. This was quite the pain for those wanted to use it for travel because it meant that they either needed to buy a travel bag or just pray to the travel gods that one of the two pieces wasn’t misplaced or broken during transit.